Sheriff Sandra Hutchens said that the five people who were arrested today helped the escapees in some undetermined fashion. They may have been involved in helping to smuggle the cutting tools used in the escape into the jail. The names of those arrested have not yet been released. Hutchens also admitted, for the first time, that the escapees could have had “inside help” from jail guards or other jail employees. 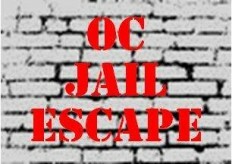 The three escaped convicts – Hossein Nayeri, Jonathan Tieu and Bac Duong — have not been found and are still at large.